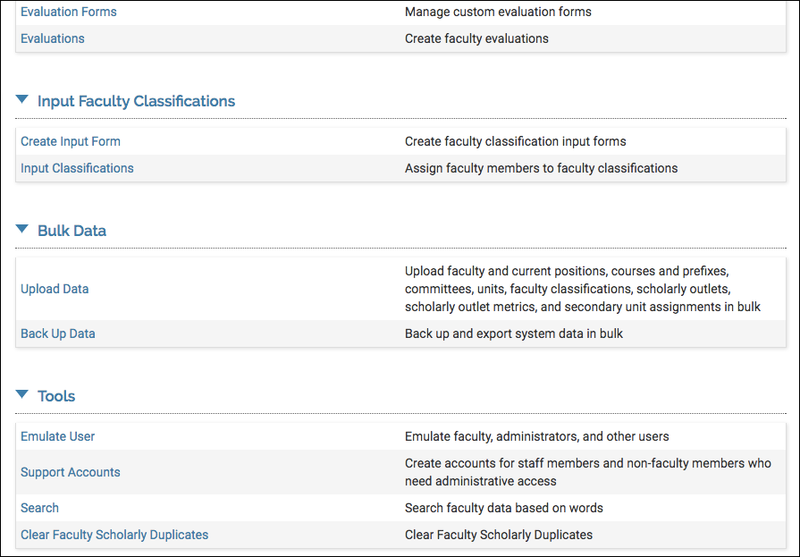 Data in FACULTY180 can be backed up by exporting it in bulk to a location that you choose. 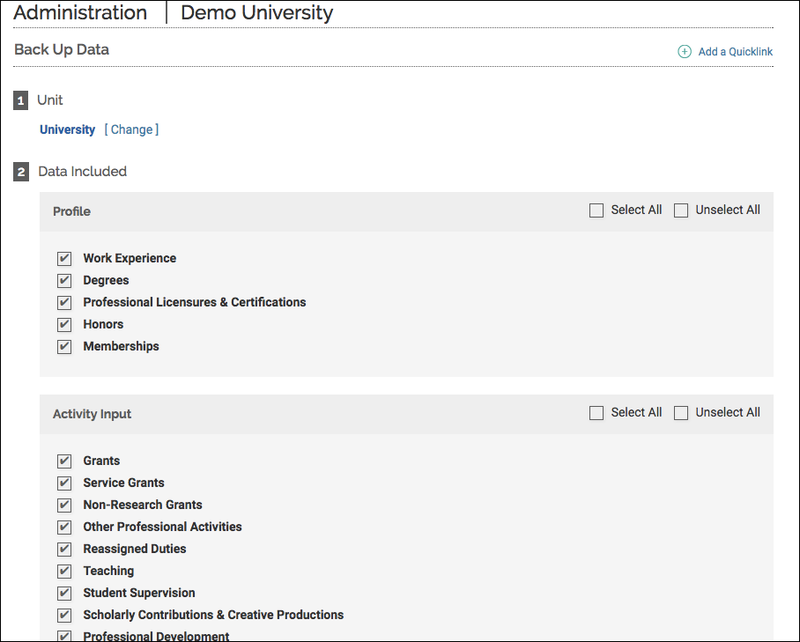 You can select which data should be backed up based on the unit, the type of data (including profile and activity information), and academic term. Click Back Up Data in the Bulk Data section. The Back Up Data screen displays. Select the unit containing the data to be backed up. In the Data Included section, select the type of data to be backed up. Select the academic terms for the data to be backed up. Select the appropriate file format options for the data being backed up. Click Export. Select the location to store the backup files. Note that the backed up files are contained in a ZIP file.